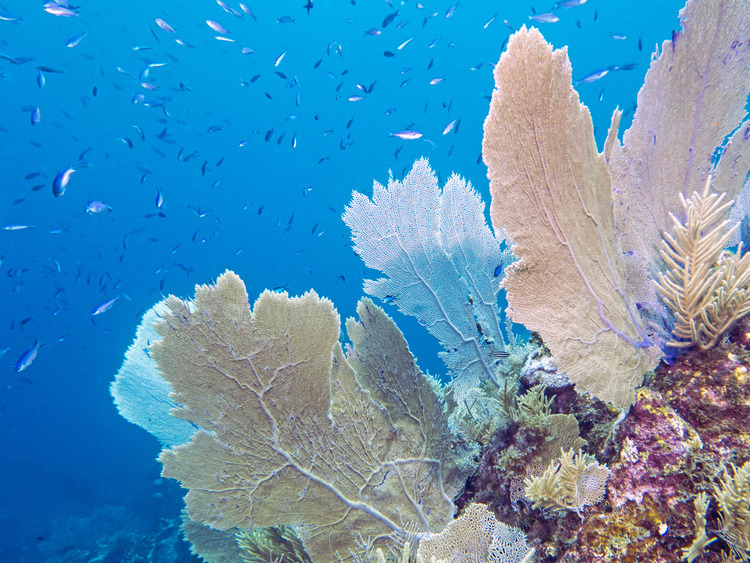 Do not miss the opportunity to see the coral reef close up staying dry, as you sit comfortably on a glass bottom boat. The excursion also includes a stop at the picturesque West End Village and a visit to a cameo workshop. We leave the beautiful Half Moon Bay on board a glass bottom boat, to view the stunning coral reef through the large glass panels of this underwater observatory. And we do all this sitting in comfort with air conditioning! At the end of the boat trip, we visit the West End Village, a seaside tourist village with a sandy lane along the coast and a few souvenir shops on the tiny main road. Before returning to the ship there is another stop to visit the only cameo workshop in America. Here we can see a wide selection of cameos, handcrafted gold and silver bracelets, rings and pendants. Each piece is unique with exquisite craftsmanship and an extraordinary attention to detail... Bordering on real works of art! This excursion is not recommended for guests who suffer from sea sickness. Closed shoes and comfortable clothing are recommended. Do not forget to bring your sun cream and insect repellent. There is limited availability of English speaking guides. If these are not available then the guide's commentary will be provided in Spanish. Participants must hold onto and are responsible, for the entire duration of the excursion, for valuables, cameras, handbags and other personal belongings. Costa Cruises and the Tour Operator are not responsible for any loss, theft or damage during the on-land excursions.